Gamakatsu Finesse Heavy Cover Worm Hooks with Wire Keeper - 1/0 Black, Loose Pack. A light wire, finesse hook that features a wide gap straight shank hook for finesse worm fishing. 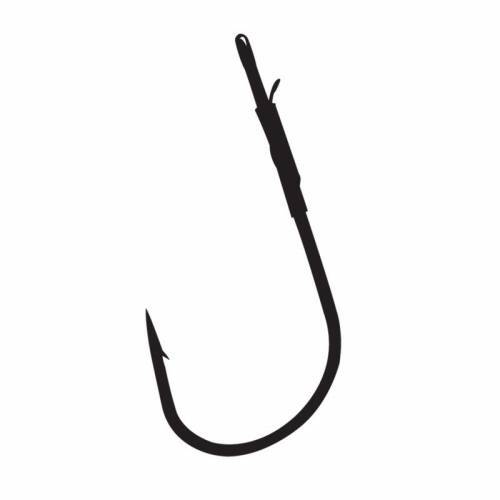 Constructed with a welded eye and punch wire that assures your worm doesn't slide down the hook. Black. Loose pack of 4. Assorted sizes available.